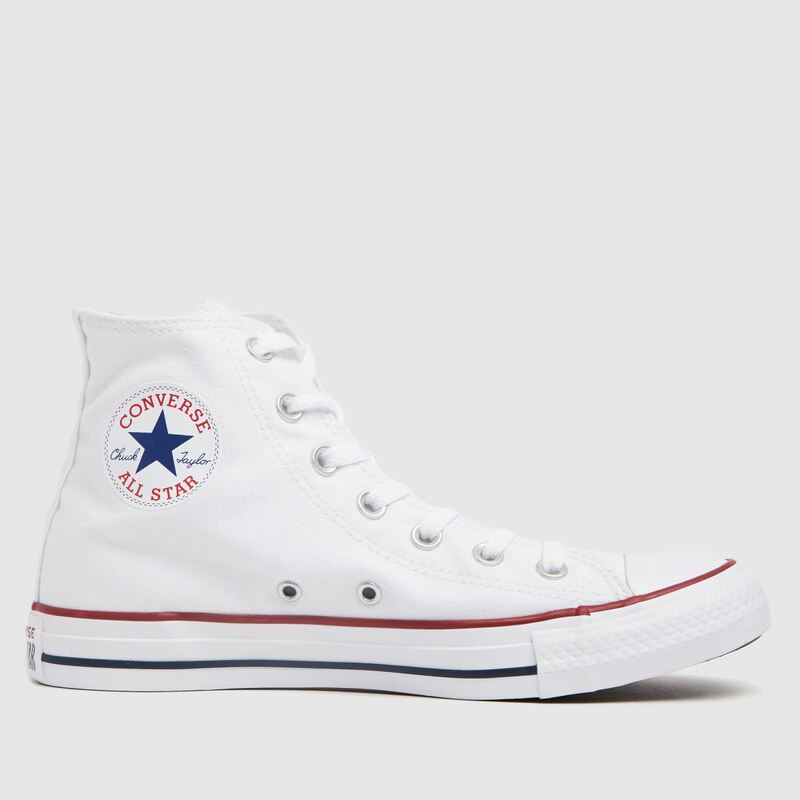 Grab an absolute classic with the Converse All Star Hi. 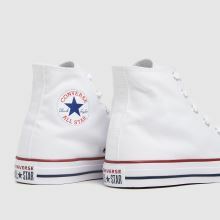 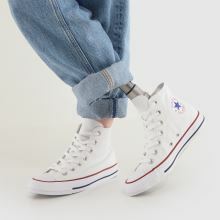 Arriving in white fabric, the hi-top silhouette is accented with classic Chuck Taylor branding and line detail in navy and red. 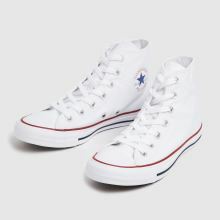 A sturdy vulcanised rubber sole unit finishes things nicely.